During oral arguments Wednesday in a case challenging the constitutionality of Texas’ abortion restrictions, U.S. Supreme Court justices focused on what role the rules played in closing dozens of clinics. Stephanie Toti of the Center for Reproductive Rights, which is representing the abortion providers, pointed out that 11 clinics closed the day the admitting privileges requirement went into effect, bringing the number of clinics down to about 20. Eight clinics closed in anticipation of the law going into effect, she said. “What’s the difference...was that their burden?” Alito said. Justice Elena Kagan responded by pointing out that Texas was left with only a handful of clinics during a two-week period when the ambulatory surgical requirements went into effect in 2014. 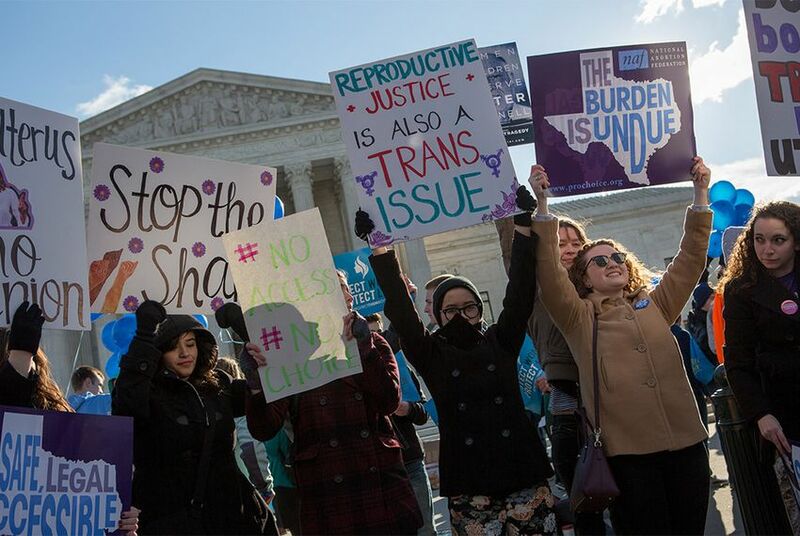 The case under review was filed in 2014 by a coalition of Texas abortion providers who argue the restrictions create substantial obstacles for Texas women seeking abortions — an "undue burden" that renders the rules unconstitutional — and do not advance the state’s interest in promoting health. She cited a spousal notification requirement struck down in Planned Parenthood v. Casey, the 1992 U.S. Supreme Court case that reaffirmed a woman’s right to an abortion but gave states more power to restrict the procedure to “further the health or safety of a woman." “There has to be some tie between the benefit and the burden, doesn't there?” Sotomayor asked.